Negative Asian market cues and profit bookings, coupled with anxiety over the upcoming domestic factory output data, led a barometer index of the Indian equities to fall 217 points during the late-afternoon trade session on Thursday. The intra-day losses at the barometer 30-scrip sensitive index (Sensex) of the Bombay Stock Exchange (BSE) ended a two-day relief rally which started on Tuesday.Profit-booking was witnessed at the S&P BSE Sensex which had gained a total of 825.77 points during the two-day rally. Bearish sentiments were seen on the wider 50-scrip Nifty of the National Stock Exchange (NSE). The CNX Nifty was lower by 64.40 points or 0.82 percent at 7,754.20 points. The S&P BSE Sensex, which opened at 25,522.96 points, was trading at 25,502.42 points (at 3.00 p.m.) -- down 217.16 points or 0.84 percent from the previous day's close at 25,719.58 points.The Sensex touched a high of 25,593.59 points and a low of 25,287.50 points in the intra-day trade. Analysts elaborated that the fall in the US markets on Wednesday had a cascading effect on the Asian markets, which were subdued. This impacted sentiments in the domestic exchanges and eroded investors' confidence. "The global relief rally is over due to yesterday's fall in the US bourses and subsequently, the weakness in the Asian markets, especially the Chinese exchanges today. With no immediate domestic triggers, the Indian markets are following the international trend," Anand James, co-head, technical research desk with Geojit BNP Paribas Financial Services, told IANS. The continuous slide in the Chinese markets had spooked global investors and dampened Indian equities on fears of another recession due to the slowdown in the $10 trillion Asian economy. Among the Chinese markets, Hong Kong's Hang Seng tubled by 2.57 percent and Shanghai Composite Index slipped by 1.31 percent. On Wednesday, the US-based Dow Jones Industrial Average dipped 239.11 points, or 1.45 percent, to 16,253.57. The S&P 500 lost 27.37 points, or 1.39 percent, to 1,942.04. The Nasdaq Composite Index was down 55.40 points, or 1.15 percent, to 4,756.53. James observed that the market volatility was being flared-up by the likelyhood of below-average industrial output data which is slated to be released on Friday. Sector-wise, out of 12 sub-indices of the BSE only capital goods and automobile managed to stay afloat. The S&P BSE consumer durables index plunged by 199.94 points, banking index plummet by 196.50 points, information technology (IT) index receded by 118.71 points, metal index declined by 89.05 points and technology, entertainment and media (TECK) index decreased by 66.11 points. 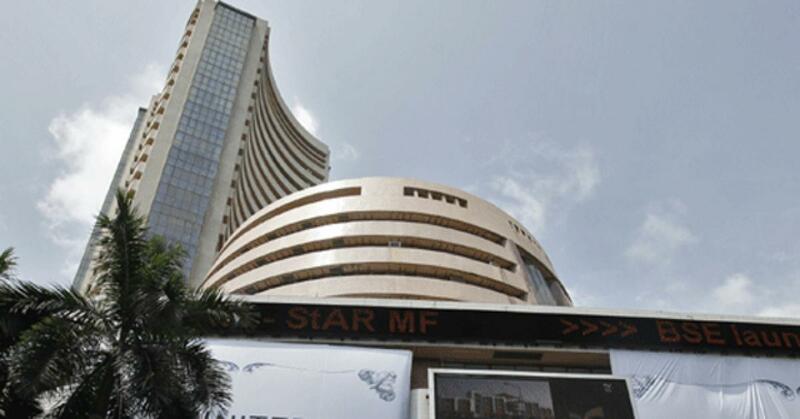 The S&P BSE capital goods rose by 52.04 points and automobile index was slightly-higher by 6.50 points.